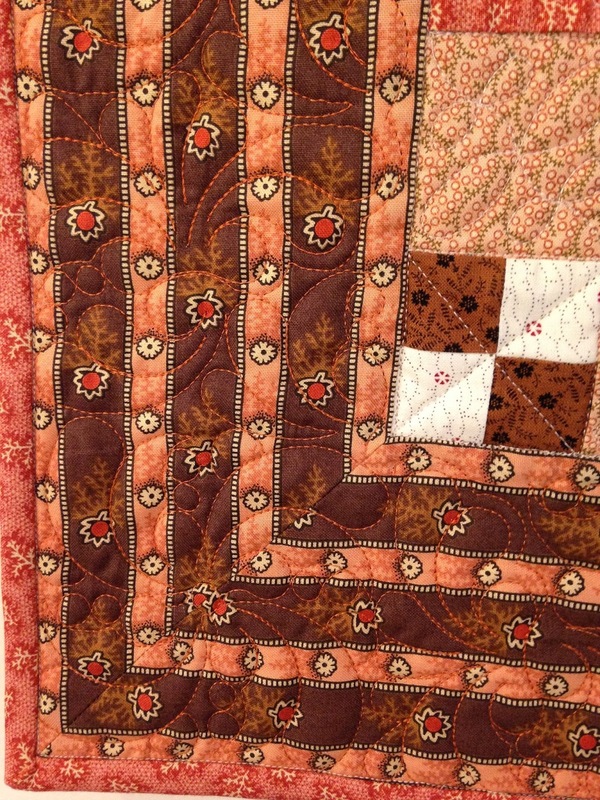 I am caught up on my customer quilts so what's a girl to do... Hmm... how about quilting a couple of those Flimsies I have in the closet. Why yes.. what a great idea. 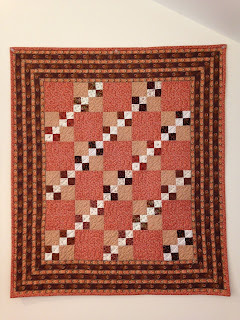 I picked this little wall hanging quilt to finish. 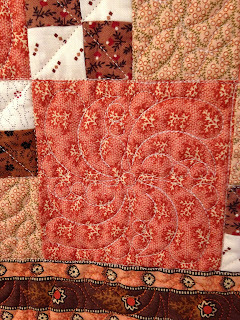 I made it as part of the Little Jo's Club I belonged to a couple of years ago. 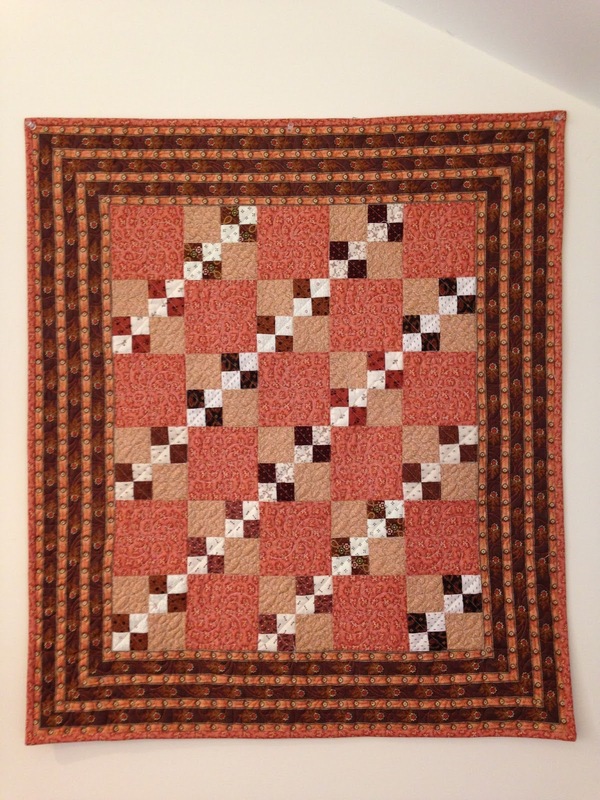 It measures 28" x 32". 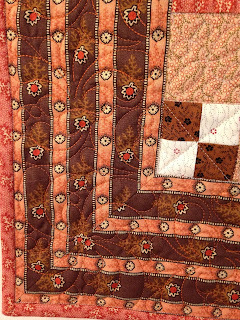 And then I quilted one of the big Flimsies. But I didn't get the binding on it yet so I'll wait until it's a complete finish before I show it to you. 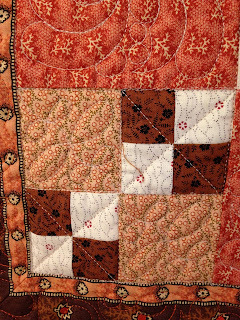 At The DeKalb County Quilters Guild they were having a quilter's garage sale. A former member of the guild had passed away and her husband brought her stash to the guild for us to shop. He donated 50% of the proceeds to our guild. I came home with a couple of fat quarters... and another Flimsy. But I just couldn't pass it up. It was only $20.... There's more than $20 worth of fabric in it. I didn't measure it but I'd say it's probably about 70" square. 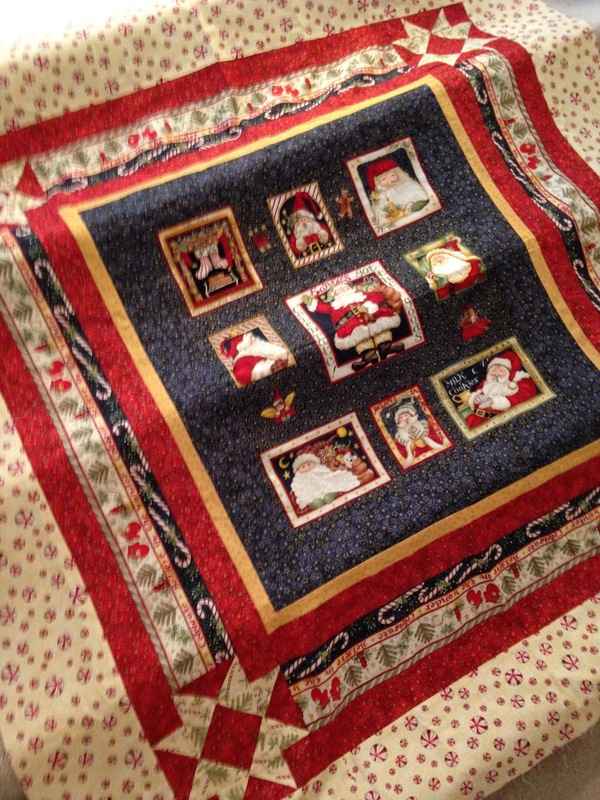 I don't have a lot of Christmas quilts so this will be a nice addition... And I have almost 6 months to get it quilted.